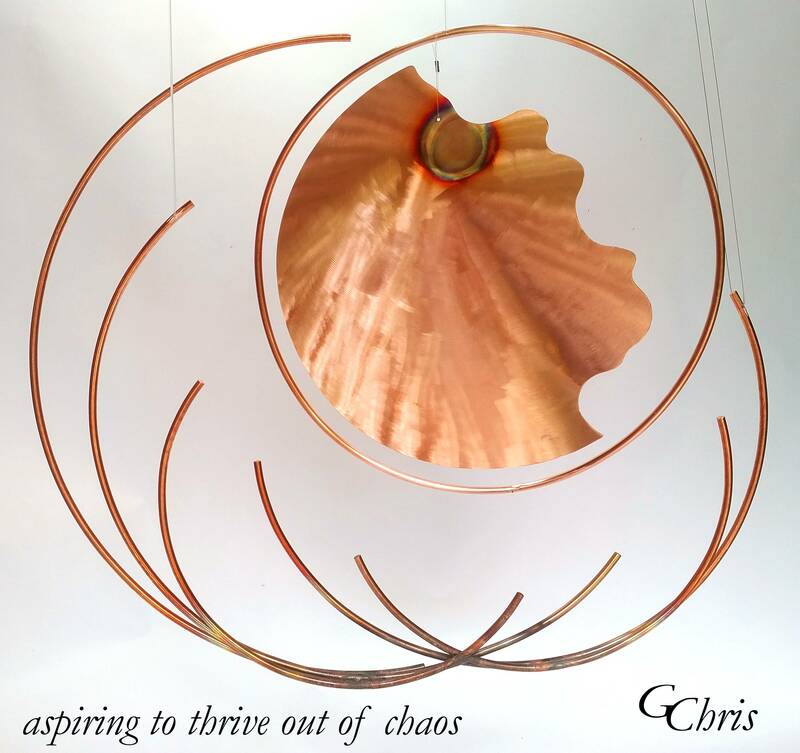 New – “aspiring to thrive out of chaos” – Thrive! sculpture by GChris. 3′ x 2′ metal mobile. Message: aspiring creatures, aspire to survive and, even more, thrive out of chaos.